Quick Strength for Runners offers a smart, fast-paced strength training programme for runners who want to run faster and with fewer injuries. In under an hour a week, runners will strengthen their core and key running muscles to build a better runner's body. Strength training is crucial for better running and injury prevention. But it's difficult to know which strength exercises work best for runners or to get motivated to hit the gym. How strength training leads to better running form and fitness. 40 targeted exercises, with step-by-step photos and instructions. Progressive workouts and advanced form options. A focused 8-week strength training schedule. Tips on designing your own long-term workout plan. Quick Strength for Runners makes it easy for runners to build a better runner's body. This highly effective, easy-to-implement programme will make you a stronger, faster runner in under an hour a week so you can stay on the road or trail. 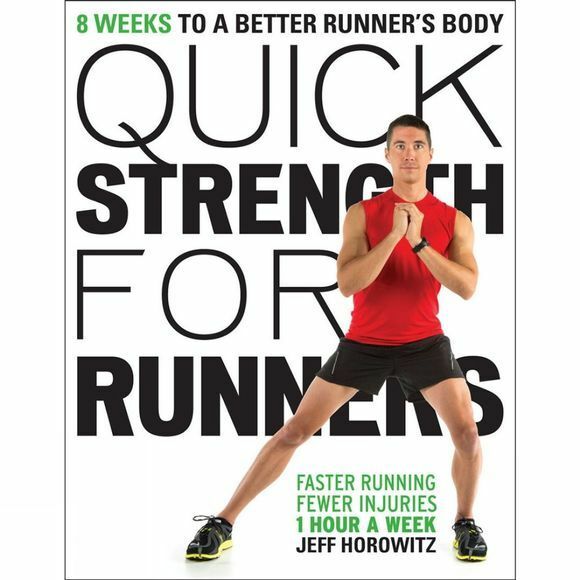 Jeff Horowitz is a certified running, cycling and triathlon coach, and a personal trainer who has run more than 175 marathons and ultra-marathons across six continents. Formerly an attorney, he quit law to pursue his passion for endurance sport and now works with at-risk youth in Washington DC and around the world. He also coaches Team Hope, a charity fund-raising training group that benefits the Hope Connections Center, which provides free counselling and services to a cancer patients and survivors.